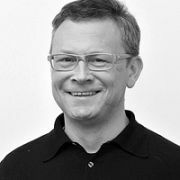 Edgars was the CEO & Founding Partner at DDB Latvia. During his lifetime, he was a major driver of the advertising industry in the region. Alongside his role with DDB Latvia, he was partner within several other companies in the Latvian creative industries, including Omnicom Media Group Latvia, Nords Porter Novelli, and NeCOM. His clients have included companies such as Volkswagen, Audi and Porsche, and he was also a member of the Latvian Art Directors Club. An avid Formula 1 and car enthusiast, Edgars was a fast-paced professional, establishing himself as one of the most prominent creative leaders in Europe. The Berlin School of Creative Leadership had the honor to have Mr. Skulte as an EMBA Alumni and is sure that his legacy will live on to inspire the future generations of creative leaders all around the world.